On Thursday 14 June 2018, Attorney General Jeff Sessions quoted a passage from the Bible in an effort to justify forcibly separating children from parents at the US-Mexican border. What follows is a partial nonverbal analysis of Sessions during his statement. 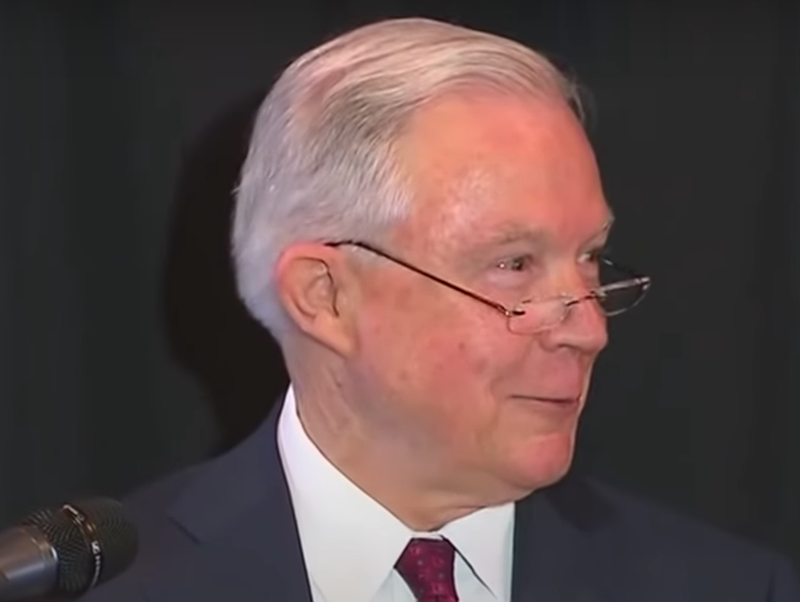 At multiple times during this short video segment, Attorney General Sessions smiled - and crucially, he was (partially) suppressing his smile. This was most evident when he was quoting Bible scripture. 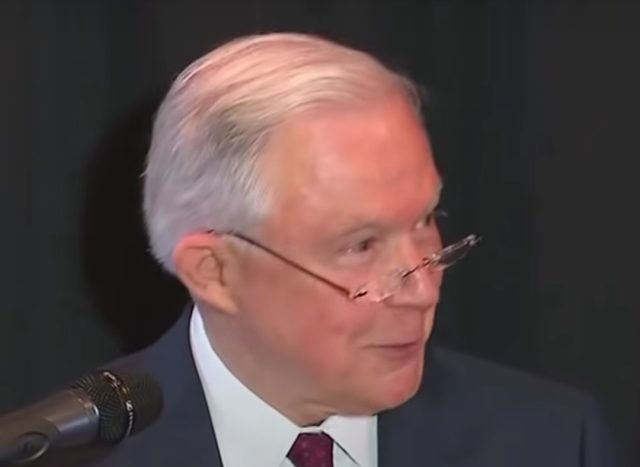 Did AG Sessions smile because he found the bible verse humorous? No. Did he smile because he felt victorious? Possibly-Probably. Did he smile because he took joy in the act of other peoples' suffering? This is highly Probable. Thus, this is also an example of Duping Delight. Sessions believes he is fooling us (at least some of us) by quoting the Bible - and he's taking pleasure in doing so. An important way to think of AG Sessions' behavior is that it was a classic example of Smiling Out Of Context. The vast majority of people, if put in his shoes (even if they'd believe themselves' to be "doing the right thing") - would NOT be smiling. When a person is smiling out of context - it should always send up a red flag. This is particularly true when the ramifications bring pain, suffering, and harm to others. We could stop right our nonverbal analysis right here and our conclusions would be accurate - yet there's more nuance. A particular variety of smile suppression - where the central upper lip is projected forward in a semi-pointed fashion - has a very high correlation with the emotions of Schadenfreude or Malice. Schadenfreude is a German word for the emotion of "experiencing of pleasure, joy, or self-satisfaction that comes from learning of or witnessing the troubles, failures, or humiliation of another". The emotion of Schadenfreude is a watered-down version of Malice. The image immediately above was captured during 0:41, just prior to Sessions saying, "I would cite you to the Apostle Paul and his clear and wise command in Romans 13 'to obey the laws of the government because God has ordained the government for his purposes', ..."
This image shows AG Sessions less than a second later in that same sentence. Note the central forward pointing of his lips - especially his upper lip. 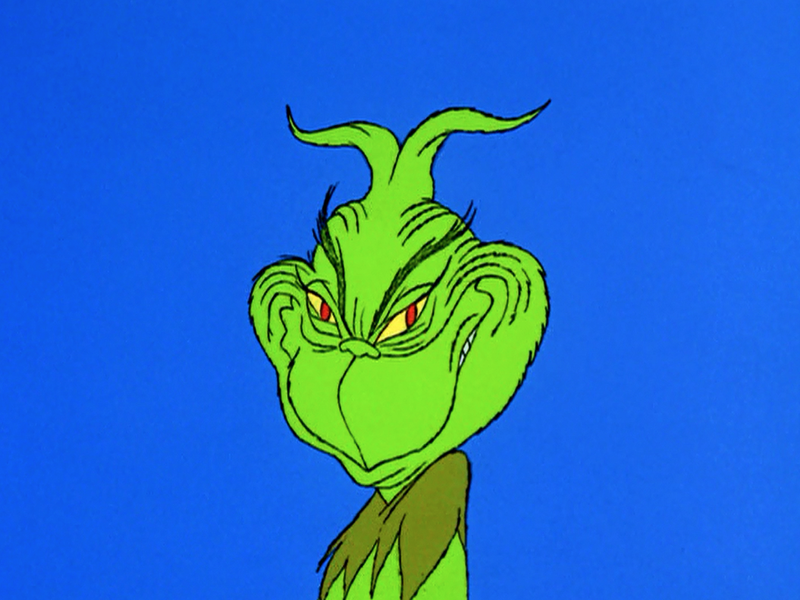 This facial expression is so characteristic of malice/taking pleasure in other's suffering that it's even been used for decades in the setting of animation. In this Seussian example, we see the Grinch just as he's crystallized his plans to steal the Whos' Christmas gifts in his effort to stop their Christmas. 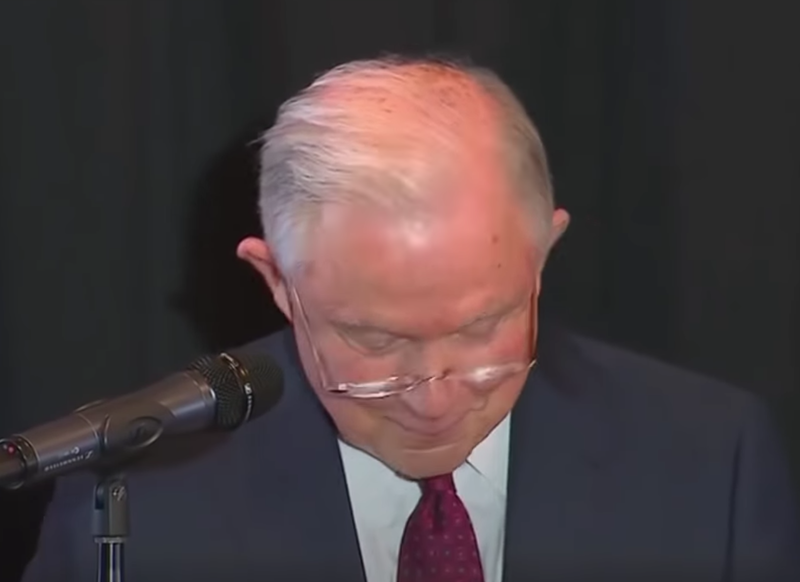 SUMMARY: Jeff Sessions' partial suppression of his smile as he was quoting the Bible - indicates he believes he was fooling us - and that he was taking pleasure in doing so (Duping Delight). Moreover, the particular configuration of his protruding and pointed upper lip during his smile suppression also betrays his emotion of taking some pleasure in the suffering of others.